Fossils are the remains of organisms that have been preserved over time within sediment. 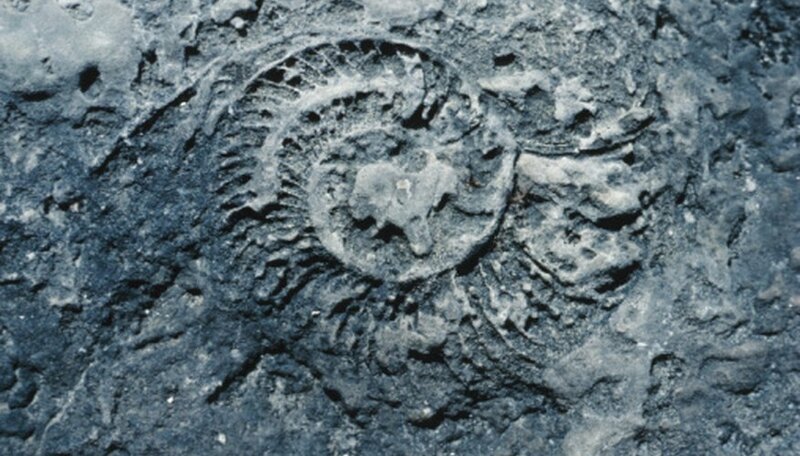 There are four primary types of fossils: mold fossils, cast fossils, trace fossils and true form fossils. Cast fossils are formed when the imprints created by fossils, called mold fossils, are filled in by minerals over time. A cast fossil is a type of fossil indicator. It is a replica of the original organism, providing an impression of the organism’s original morphology, without containing any, or at least very little, of its original organic material. Cast fossils are more common than true form fossils. The formation of a mold fossil is the first process in the creation of a cast fossil. When the organic matter that makes up a deposited organism decomposes due to chemical reactions, and leaves a cavity, this cavity, which assumes the general form of the decayed organism, is called a mold fossil. A cast fossil is formed when the cavity created by the decomposition of an organism and the formed mold fossil is filled in by surrounding sediment and minerals. The matter that fills in the cavity gradually hardens over time, to create an impression of the original organism, called a cast fossil. This process is known as authigenic preservation. Occasionally these cast fossils can contain parts of the original organism, hard shells or bones, which are more resistant to decomposition. Many types of organisms can decompose to create cast fossils. Shells can make an imprint in sand, and under certain conditions such an imprint might be preserved and then filled in. Compact organisms with tough carapaces and bone structures are most often preserved in the fossil record, and such organisms are also most widely represented amongst cast fossils. Examples of such organisms include ammonites, trilobites and some of the larger varieties of prehistoric arthropods. The presence of ancient plants can also be indicated by the preservation of their general form in cast fossils.